Hertz charges a $4.95 fee (plus the toll) for every day you use a toll road. Avis, Budget, Alamo, National, and Enterprise charge a $3.95 daily fee for every day you rent the car (whether or not you use a toll) up to a $19.75 maximum per rental—plus the tolls, of course. Payless works similarly to sister companies Avis and Budget, but it's a little cheaper at $2.95 per day, up to a $14.75 maximum fee. Dollar and Thrifty offer an all-inclusive option for $10.49 per rental day (or $52.49 per week) that includes all tolls. Decline it, though, and any toll you fail to pay in cash will cost you a $15 administrative fee. Fox offers a similar product as Dollar and Thrifty in some areas, but the price varies—$8.99 per day in Florida and $11.49 per day in Northern California. Advantage doesn't disclose their daily fees, but reportedly runs $7 per day. (It may vary by region.) Sister company E-Z doesn't even mention anything about a toll pass option. This transponder from PlatePass is open. Be sure to slide it closed if you don't want to get charged by the rental company. Close the transponder. If your rental car comes with an E-ZPass transponder and you don't want to use it, try to close it. They are usually mounted in a lead-lined box that opens and closes. Closing the box hides it so the toll plaza can't see it. Use a lane that accepts cash, and you can then pay cash for your toll. If you'd rather be extra safe, you can get a Faraday bag which blocks devices from wireless signals. Here's one we like. Use cash toll lanes. Be aware that this doesn't work everywhere, as some toll roads are electronic-only, and driving through the reader will automatically trigger a bill to the rental company. Use your own car's toll transponder. Bring it with you and then, when you pick up the rental car, either call the provider or log into your account online to add your rental car's license plate. If you travel frequently, it might be worth ordering a second transponder on your account to keep in your travel bag. Buy your own transponder. Don't already have a transponder? It's pretty cheap and easy to get one, even if you don't live in a state with toll roads. If you'll be traveling in the Northeastern US (Illinois to Virginia to Maine) where tolls are handled by the E-ZPass consortium, we recommend ordering a transponder from Massachusetts—since there is no monthly fee and the cost of the transponder gets credited to your account and made available for tolls. For the Southeastern US (North Carolina to Florida), we recommend the E-PASS from the Central Florida Expressway Authority since it's cheaper than the more popular SunPass. And for the central US (Kansas to Texas), a MyKTAG from Kansas is the best option. A portable hard-case transponder that works everywhere in Texas, Oklahoma and Kansas costs $25, or you can get the sticker version for free (they're not meant to be portable, but we've had good luck just holding the sticker firmly against the windshield), and you aren't required to prepay as long as you sign up with a valid credit card. 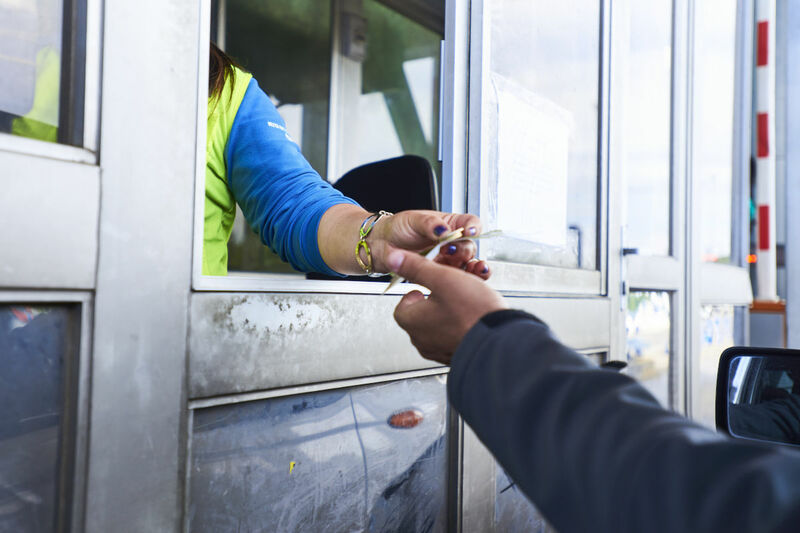 In summary, if you're going to be traveling on toll roads, you can avoid surcharges if you pay cash at the toll booth (where possible) or bring your own transponder.